Possibly the biggest announcement in the compact sector since the Panasonic TZ1 – Fujifilm finally puts together not just a compact ultrazoom but an ultracompact ultrazoom (0.9 in thin), and manages to fit in a half-inch SuperCCD sensor to boot. 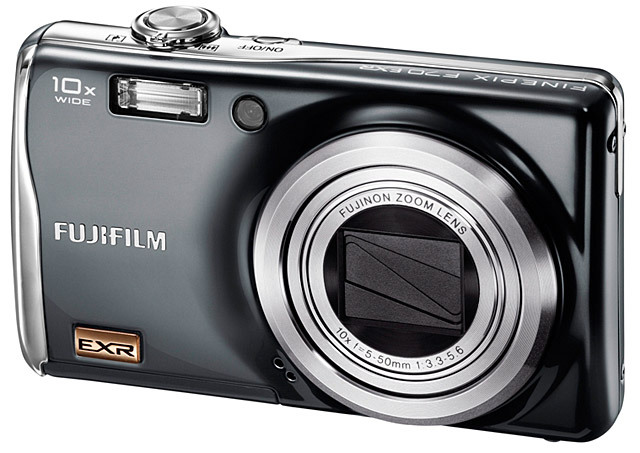 If ever a camera came along with the potential to dethrone Panasonic’s vaunted TZ/ZS-series, this is it. Have got a big night tonight – will update later, but for now you can munch on the details of the press release and Imaging Resource’s short overview/analysis. I get a lot of questions all the time about which camera to buy, and most of the time I don’t quite have the time to respond to all of them, so I’ve decided I’d start a regular camera guide feature. These aren’t in-depth rationales or anything, just quick summaries that tell you, unequivocally, which is the best of the best; I also write digital camera recommendations for a site called bestinclass.com – I might recommend visiting there if you’re looking for more in-depth analyses and comparisons. Digital cameras don’t come out all that often, so this may be a quarterly guide. This also may not reflect the very cutting edge – it takes a little while for reviews for the newest cameras to come in, and it’s impossible to really assess the cameras until they do. Have you got a use case/need that isn’t covered here? Feel free to post it in the comments, and I’ll keep it in mind for future guides. And if you think differently about any of the cameras, feel free to share that too! Features trump image quality: With modern cameras, image quality differences are mostly a consideration of the past. Almost every camera released today has megapixel resolution far in excess of what’s needed (or even usable) for most applications, and in most daylight scenarios there is practically zero difference between cameras, especially among the top tier of manufacturers. The main differentiator in your photographic experience and capability, then, is what features you’ll have to work with – being able to take a wide shot with a 28mm wide-angle lens, or having a fast 4fps continuous shooting mode for action shots, for instance, is going to go a long way towards getting you the photographs you want compared to minute differences in image quality or resolution. Price/performance: The recommendations for different categories will mostly recommend the camera with the best value proposition – a lot of these are often written in the format of: Best budget camera under $200, best midrange camera under $300, best premium camera under $500, etc. While oftentimes, yes it’s true that Camera Xa has a slightly bigger LCD screen than Camera Xb and is therefore better, and the $50 premium still puts it under the $300 budget, as a knowledgeable consumer you wouldn’t want to spend that much more on a mostly cosmetic difference, and as an informed friend you would do best by recommending Camera Xb to your friend. For many people, cameras are just cameras, and all they need is something that, for lack of a less-hackneyed phrase, they can “point and shoot”. They’re not interested in photography and don’t need nor want full manual controls, and rarely would use and can make do without a huge zoom range. They’ll take snaps while they’re out at social events or just randomly at home or in their room, but that’s about it. For this group there’s the simple ultracompact – a basic camera that has a few useful features (possibly wide-angle lenses for indoor group photos and image stabilization for low-light situations) but otherwise just provides good overall quality and a small formfactor that can be slipped just about anywhere. A plethora of Canon, Panasonic, and Fujifilm cameras rule the roost in the ultracompact category, all roaming around the $300 range. 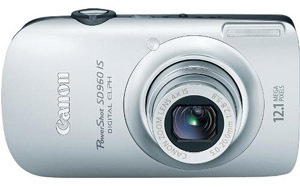 For a little less than $300, Canon’s SD960 puts together the best combination of image quality and features, with a 28mm wide-angle, image stabilization, and even 1280×720 (720p) video capability.